Our musical director, Elaine Kelly is an award-winning, Cork-based choral and orchestral conductor. She graduated from the CIT Cork School of Music (CSM) with an Honours BMus degree in 2011, having studied violin with Colette O’Brien and Adrian Petcu. She continued her studies in CSM, achieving a First Class Honours Masters Degree in conducting under the tutelage of Alan Cutts in 2013. Since then she has undertaken masterclasses from renowned conductors such as John Farrer, Denise Ham, Robert Houlihan, George Hurst, Toby Purser, Rodolfo Saglimbeni and Neil Thomson. She has been accepted to participate in numerous orchestral conducting courses in Europe. In concert, Elaine has conducted the: Cork Concert Orchestra; CSM Symphony Orchestra; Fleischmann Choir; CSM Baroque Ensemble; CSM Chamber Ensemble; CSM Project Orchestra amongst others and was assistant conductor to the City of Cork Symphony Orchestra for their concert with violinist Nicola Benedetti in City Hall, Cork in 2011. She is also the musical director of the Barony Choir and Cantate Chamber Choir as well as being a line coach with the 160-member Fleischmann Choir. Elaine won first prize in the inaugural ESB Feis Ceoil Orchestral Conducting Competition in 2014 - the highest ranking competition of its kind in the country. 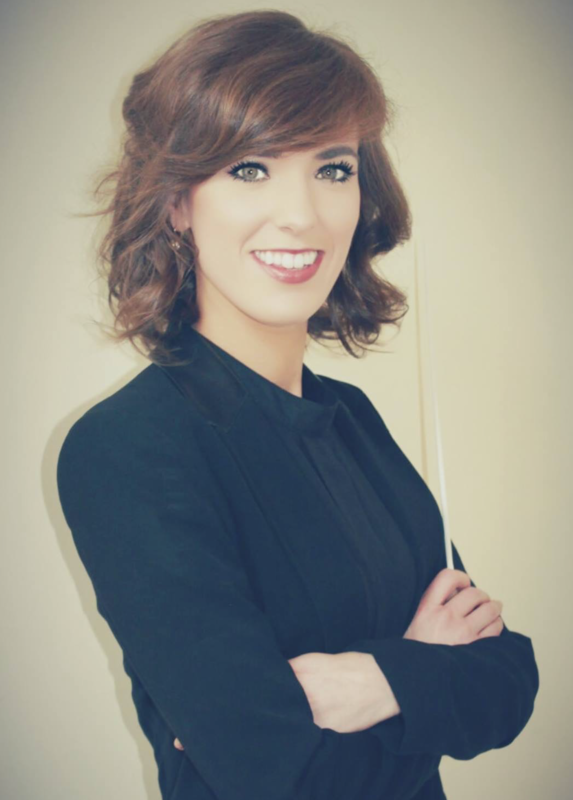 This resulted in her professional conducting debut with Ireland’s RTÉ Concert Orchestra in the National Concert Hall in Dublin and was subsequently invited once again to conduct them in August 2016. In 2015, having been offered the position of assistant conductor to Jonathan Cohen, Elaine worked with Irish Youth Opera in their production of Handel’s Agrippina with the Irish Chamber Orchestra. She has recently been accepted to the New York Conducting Workshop to work under Marin Alsop and John Farrer with the Chamber Orchestra of New York in June 2017.